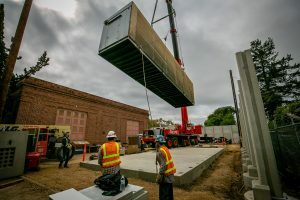 The PG&E Substation on Halliday St in Vallejo is approximately 80 years old, and while the facility and its equipment remain functional, it was certainly due for a little facelift. 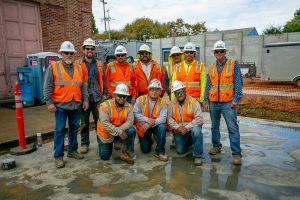 An IBEW 1245 crew from Civil Substations Inc was called in to give the substation a new lease on life this fall, including taking out the outdated structures and equipment and replacing them with all new construction. The work itself isn’t out of the ordinary, but the limited space available at the yard presented a unique set of challenges. 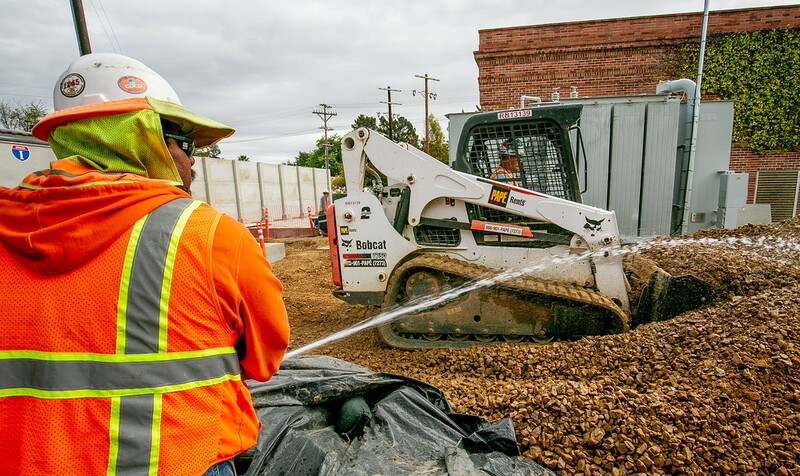 When the Utility Reporter caught up with Baber and his crew, they were already several weeks into the project. 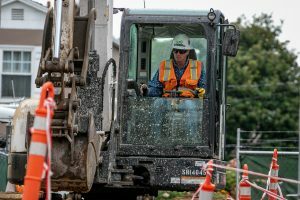 The demolition was complete and the old transformers had been removed, and one new transformer had already been installed and energized. Baber noted that the next step in the project involved setting the switchgear building, which arrived in two parts. The heaviest piece weighed around 50,000 lbs and required a 350-ton crane to set it — but given the close quarters, the crane had to go all the way up and over the building. Baber noted that some of the members of the surrounding community were not to pleased when the crew put up a new external wall around the sub. 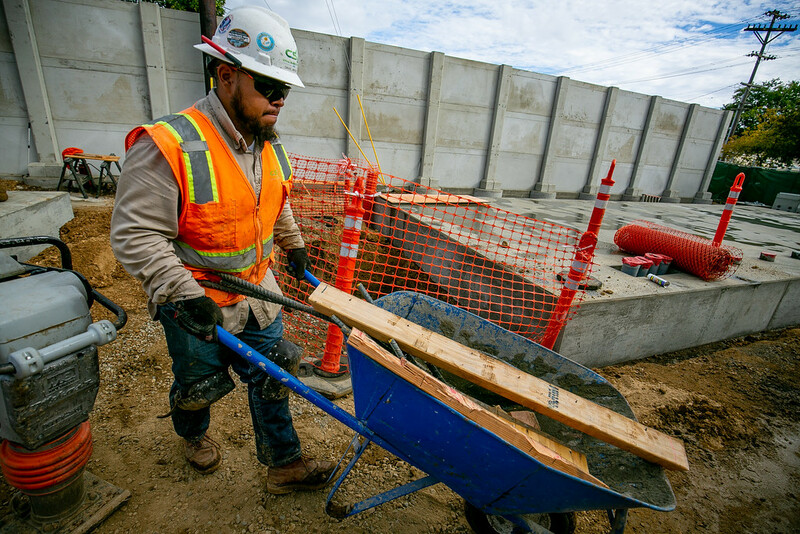 Baber, who was initiated into the IBEW in 2011, is proud to be a member of Local 1245, and feels strongly that it has had a positive influence on his life and livelihood.